Where the debate begins is whether embarking on an enterprise-wide data analytics project, or investing in a new business intelligence (BI) solution is the right thing to do from the company’s perspective. In the minds of many business leaders, jumpstarting a new initiative and deploying new software, equipment, storage space and training can be expensive, time-consuming and fraught with potential problems. They need to be convinced that BI will ultimately deliver bottom-line benefits. Among those with little experience in BI or analytics, there is a fear of the unknown, an uncertainty of the true value of BI and a doubt of promises left unfulfilled. 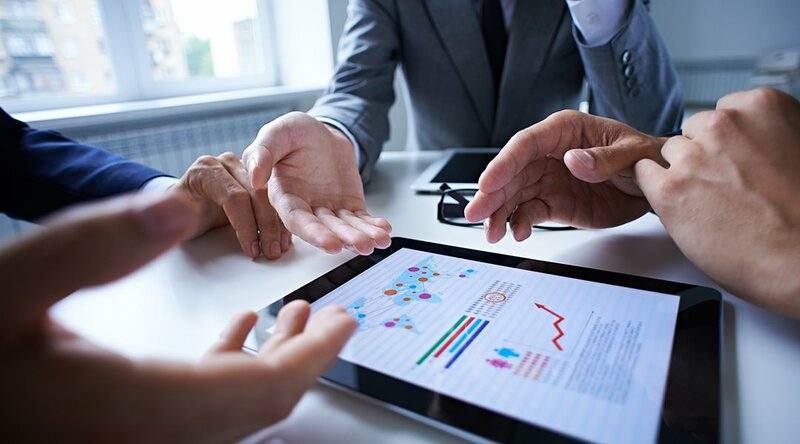 Knowing the value of data and how important it can be to the success of the business, data analytic and IT leaders must establish clear connections between analytics and business. They must also work to overcome stakeholder objections. By doing so, they can help eliminate the fear, uncertainty and doubt coming from business leaders and prospective users. 1. Focus on the drivers that matter to the business leaders and stakeholders. Too often the teams and departments interested in an analytics solution limit their focus on technology and delivery rather than business benefits. In the white paper, “How to Make the Business Case for Analytics” Gartner Analyst Alan D. Duncan wrote, “the first element in any analytics business case is to focus on describing a positive vision that connects both emotionally and rationally to the stakeholder's aspirations, ideally developed collaboratively by business and technology stakeholders. 2. Demonstrate how analytics will help company executives, as well as other stakeholders. It’s important to show that analytics can influence decision-making, providing a clear and comprehensive picture of business performance and driving business objectives. Everyone, from business leaders to salespeople, can have access to the information and reporting they need to be more successful. 3. Link analytics to business outcomes. Pretty charts and graphs will not sway opinion unless they can show how business outcomes are influenced by the analytics and the underlying data. The ability to show how business intelligence influenced revenue-generating opportunities, increased operational efficiencies and improved customer services will strengthen the business case for analytics. reporting can be managed in the BI solution; removing the burden from other business systems. Ultimately there are numerous business benefits that come from implementing an enterprise BI initiative. The majority of corporate data around the world is unstructured making extracting value from the information a difficult process. BI converts the raw information into actionable insights, enhancing internal analytical capabilities and eliminating the “gut-feel” approach to decision making. BI also makes data universally accessible to everyone across the business, which allows for more timely and informed business decisions. In The BI Survey 18, the world's largest annual survey of BI users, Phocas Software top ranked in 28 categories for ease-of-use, customer satisfaction, project success and price-to-value among mid-sized deployments in the Americas, EMEA and APAC. Click the button below to download the full BARC BI 2018 report and see how the business intelligence vendors compare.